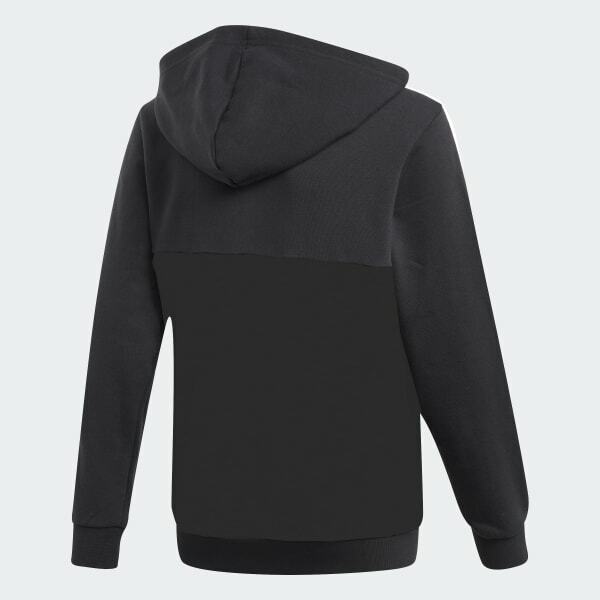 A hoodie for young fans of Juventus. Showing support is all-important. This juniors' football hoodie features the unmistakable black and white of Juventus. It's made of soft French terry for warmth, and it features an embroidered club crest plus graphics on the front.